Race team and automobile manufacturers depend on the advanced science of Pennzoil® synthetic motor oils. Unlike traditional motor oils made from crude oil, the Pennzoil Platinum® motor oils with PurePlus® Technology start with the pure natural gas, leading to better performance on and off the track! 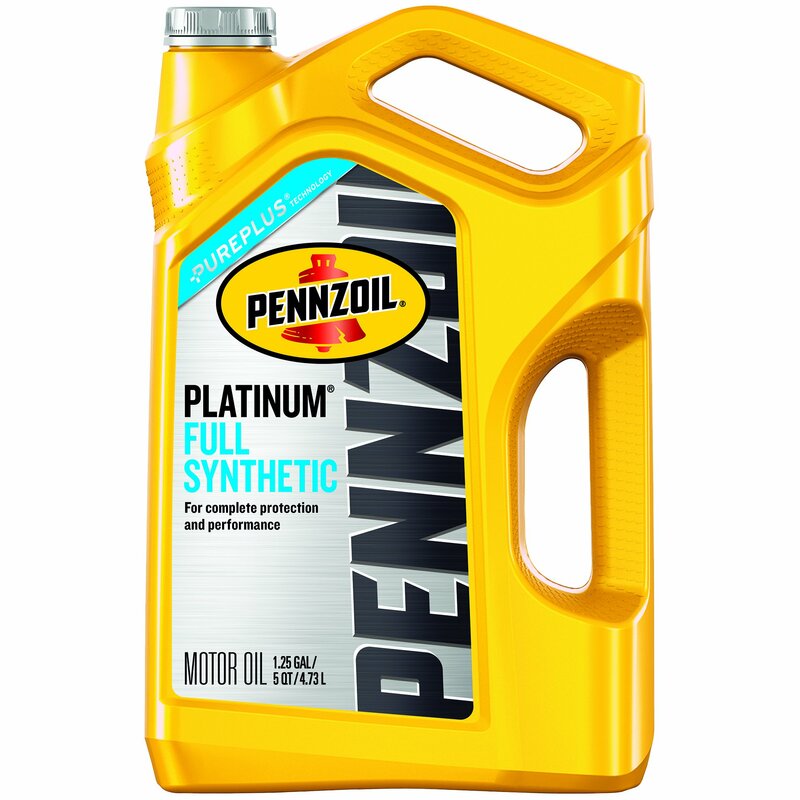 The Pennzoil Platinum® production line meets over 50 unique engine oil specifications. A first-of-its-kind full synthetic motor oil made from natural gas. Pennzoil Platinum with PurePlus Technology provides complete engine protection without compromise. 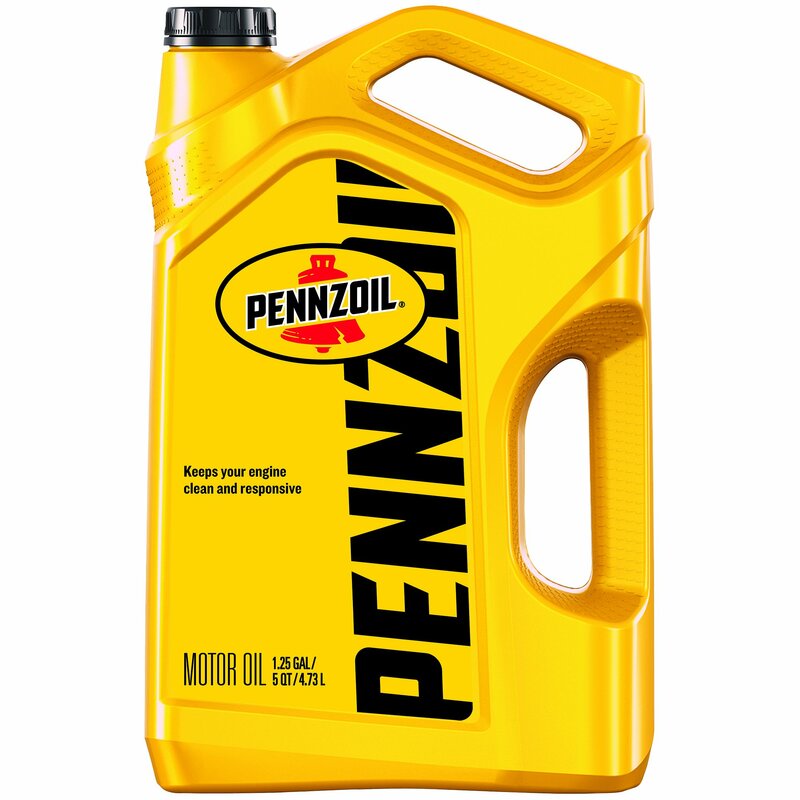 Pennzoil Conventional - Pennzoil® motor oil contains a traditional oil base, fortified with Active Cleansing Agents™ to continuously prevent dirt and contaminants from turning into performance-robbing deposits, helping to keep your engine clean and responsive. In fact, Pennzoil® motor oil helps clean out sludge lesser oils leave behind and keeps cleaning all the way to your next oil change*. 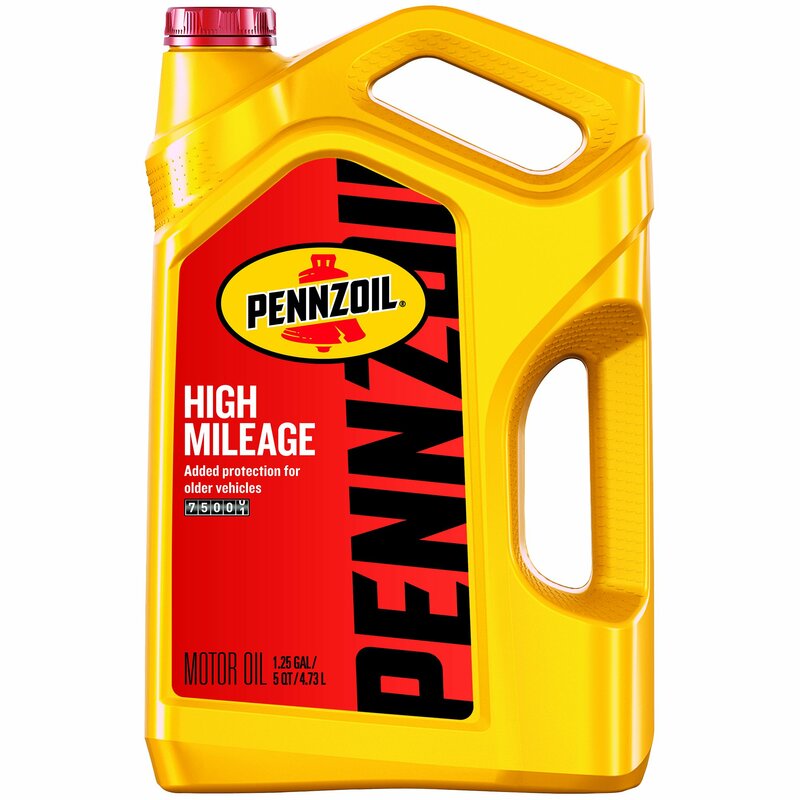 Pennzoil® High Mileage Vehicle Motor oil is a Pennzoil® conventional motor oil that has been enhanced with a unique combination of special conditioning agents and additives to help stop leaks from seals and reduce the oil consumption that is typical of older, worn engines. It's a motor oil that is specifically designed for new or late model vehicles with over 75,000 miles, to help keep the engines running clean and going strong a long time, month after month and year after year. Why make the switch to Synthetic motor oil? In 2015, Pennzoil became the premium technology partner for BMW Motorsport. BMW Team RLL uses Pennzoil Ultra Platinum with PurePlus Technology in both BMW Z4 vehicles competing in the TUDOR United Sportscar Championship GTLM field. 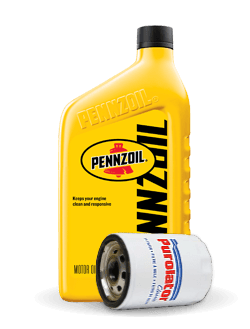 Pennzoil® PurePlus® Technology is a patented, revolutionary gas-to-liquid process which converts natural gas into a base oil with lower friction, better low temperature properties and greater stability than conventional motor oil made from crude. Because the base oil is made from natural gas, it is crystal clear with fewer of the impurities found in crude oil, the start for many other traditional and synthetic motor oils. From that pure, clear base high performance additives are added to create the Pennzoil Platinum® Full Synthetic line of motor oils, designed for COMPLETE PROTECTION without compromise. 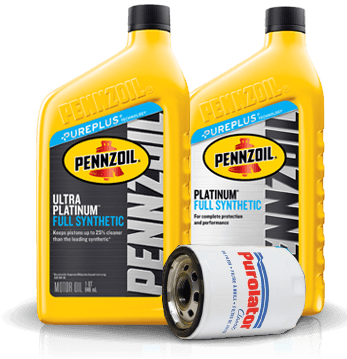 Pennzoil Platinum® Full Synthetic motor oil with PurePlus® Technology is made from pure natural gas, unlike traditional motor oils made from crude oil. By combining the revolutionary process of converting natural gas into a pure clear base oil and combining it with high performance additives, Pennzoil Platinum® Full Synthetic motor oil is able to deliver complete protection without compromise. Pennzoil Ultra Platinum™ Full Synthetic motor oil is the exact motor oil used by Helio Castroneves in his IndyCar, proving it's capable of handling extreme racing conditions on the track. 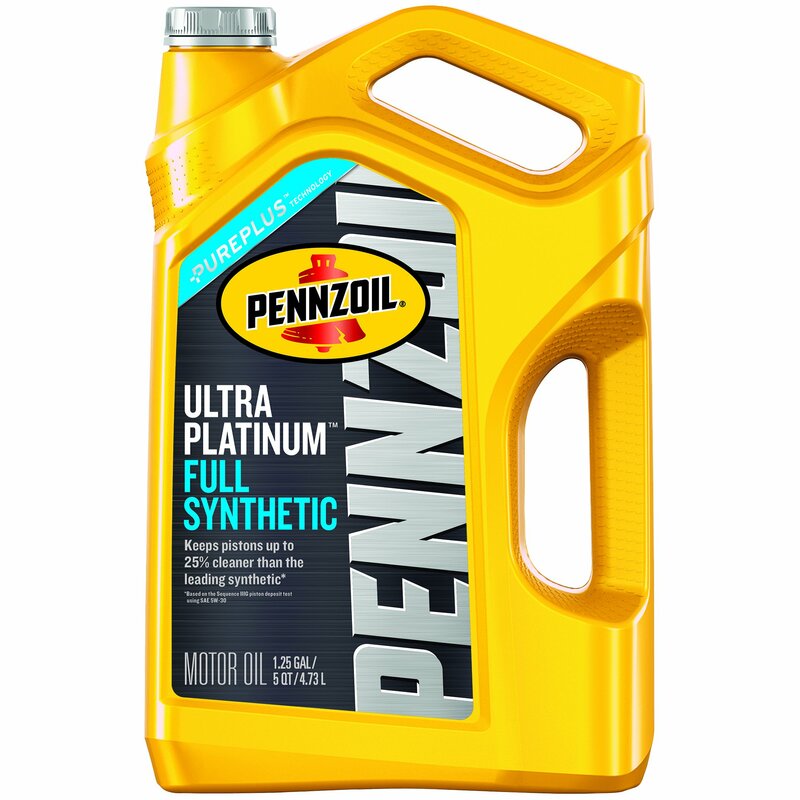 By combining the revolutionary process of converting natural gas into a pure clear base oil and combining it with high performance additives, Pennzoil Ultra Platinum™ Full Synthetic motor oil is able to deliver complete protection without compromise. Pennzoil® motor oil uses a traditional oil base, fortified with Active Cleansing Agents™ to continuously prevent dirt and contaminants from turning into performance-robbing deposits. This helps keep engines clean and responsive. 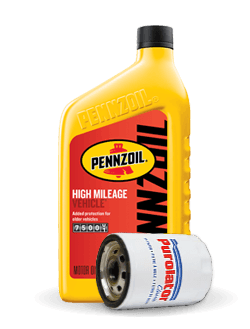 Pennzoil® High Mileage motor oil is specifically formulated to help reduce leaks and oil consumption, protect dry or cracked seals, and reduce engine wear. It is recommended for engines with over 75,000 miles.